Virat Kohli new hairstyle: After creating history in the 3rd Test against England at Trent Bridge in Nottingham, skipper Kohli seems to be in grooming mood. The skipper met hairstylist Aalim Hakim, and the leading grooming man seems to have given Kohli the new look. Virat Kohli new hairstyle: After creating history in the 3rd Test against England at Trent Bridge in Nottingham, skipper Kohli seems to be in grooming mood. Kohli led team India defeated the hosts by 203 runs to bounce back from 2 bitter defeats in the first 2 Tests against England. 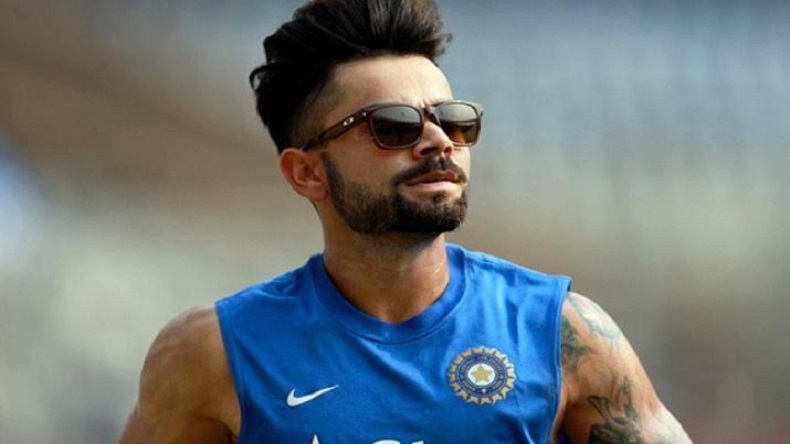 And now, Virat Kohli, who is known to experiment with hairstyles, has come up with a new haircut. The skipper met hairstylist Aalim Hakim, and the leading grooming man seems to have given Kohli the new look. Hakim is known for giving new hairstyles to celebrities and is the go-to person when it comes to getting a new look.